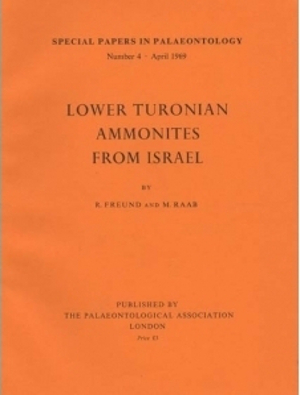 The journal Special Papers in Palaeontology ran from 1967 to 2014 and consisted of monographic treatments of groups to edited volumes on linked themes. The journal was replaced in 2015 by Papers in Palaeontology. thematic collections or other sets of articles. The subject of any thematic set had to have been of broad interest. The thematic issues were usually managed by one or more 'guest editors', who worked closely with the Editor-in-Chief to deliver the thematic set. The guest editors were expected to write a short introduction to the volume. Their names appear as the editors for each of these volumes. Currently backissues are available for Number 1 through 70 and are provide free of charge in the form of downloadable PDFs.